Sure, kids always want to watch what everyone else watches, but are there really that many R-rated films these days that kids would even be interested in?  Heck, lately we’ve seen many of the coolest action and sci-fi properties edited to ensure PG-13 ratings. Look at some of the properties from the 80’s and 90’s like Terminator, Rambo, Robocop, and Predator, however, and you realize that there was nothing else out there quite like them. The concepts of alien hunters, robotic cops, and killer Austrian robots practically sucked kids in like tractor beams. Animation companies recognized this, thus we ended up with cartoons like “Rambo and the Forces of Freedom”, “RoboCop", and “The Toxic Crusaders,” which took the appeal of these R-rated franchises but made them more suitable for younger viewers. These days when an R-Rated movie or Mature rated video game warrants toys, a collector focused company like NECA, Diamond Select, or Mezco will typically release a figure or two to specialty retailers and that’s that. About the only toy line based on a product rated for ages 17 and up that I can think of that’s available at places like Wal-Mart and Target is McFarlane’s Halo line. Looking back, it intrigues me how many toy lines based off of R-rated films were created and marketed towards kids in the late 80’s and early 90’s. There were toys based on Robocop, Rambo, Terminator 2, The Toxic Crusader, Demolition Man, Judge Dredd, Starship Troopers, and the subject of today’s Show & Tell: Aliens. 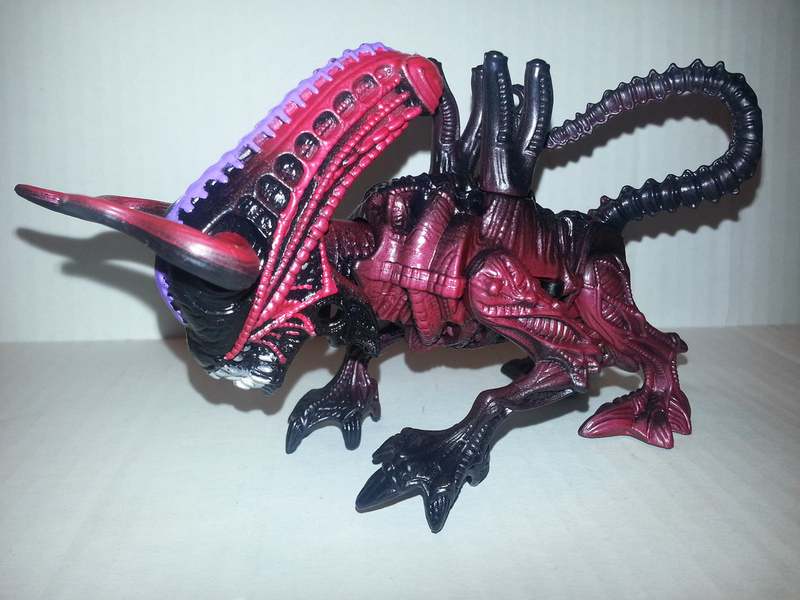 Read on as I wax nostalgic about one of my favorite toy lines of the 1990s after the break…. Aliens. While Alien 3 was released on May 22, 1992, that wasn't what got me interested in Aliens. 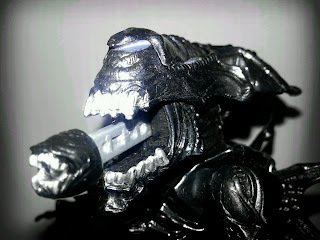 Instead, my introduction to the Aliens universe was through the action figure line released by Kenner that same year. Kenner's Aliens took its visual cues, plot, and character roster from James Cameron's 1986 film Aliens and kind of feels like a toy line based on a nonexistent Saturday morning cartoon version of that film. The Aliens line follows the adventures of Ripley, Hicks, Bishop, Drake, and Apone as they travel the galaxy hunting aliens with cool weapons, gnarly vehicles, and plenty of macho 90's attitude. Since this is such an epic line of toys, I'm going to be splitting my Show & Tell over a few weeks. This week, I'm looking at the xenomorphs themselves from the first series: Gorilla Alien, Bull Alien, Scorpion Alien, and the Alien Queen. Happy birthday, 9 year old me! 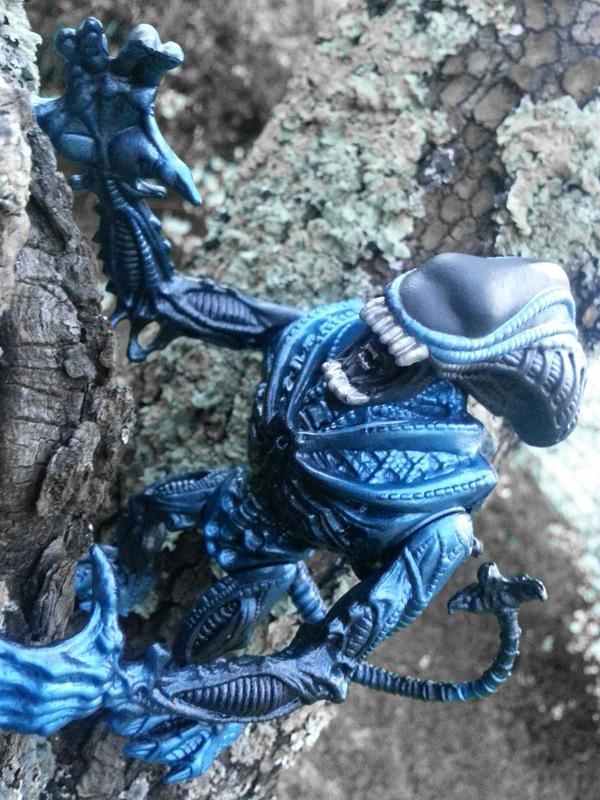 I received my first Aliens figure from a friend on my 9th birthday. A few days prior to my birthday, my super cool friend "Freddy" showed me an action figure that blew my mind. Now Freddy was a couple of years older than me and always seemed so incredibly cool. His hair was always spiked, he always dressed as a grim reaper for Halloween, he claimed to have a black belt, he hung out at the 7-11 playing Street Fighter 2 all the time, he claimed to have read an X-Men comic that showed Wolverine naked (thinking back, not sure why that was particularly cool), and he always seemed to find cool toys first. So when Freddy showed me the Gorilla Alien, I was amazed. Not only was this a new toy to me, but it was a terrifying and dangerous looking toy. Honestly, the sculpting on any of the aliens themselves is still kind of impressive by today's standards. 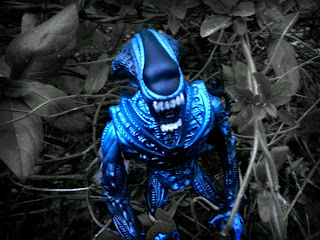 I really wanted that Gorilla Alien! And I got him! On my birthday Freddy put the Gorilla Alien back in the package, threw him in a K-Mart bag, and hand delivered him to my door. What a guy! Also, Freddy now had the deluxe Alien Queen figure. I think he convinced his mom he was getting the Alien Queen for my birthday gift, but he kept the Queen and passed along the Gorilla Alien instead. 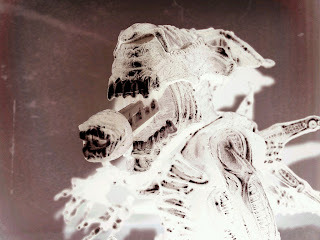 I didn't care though, as that figure captivated me and launched me into an Aliens obsession. None of the figures I'm about to show you are original to my childhood, as I later traded all of my Aliens toys to Freddy for X-Men toys. That's OK, though; thanks to the magic of the internet I've tracked these all down to recreate a part of my childhood. The Gorilla Alien in his natural habitat. Here's the guy who started it all. 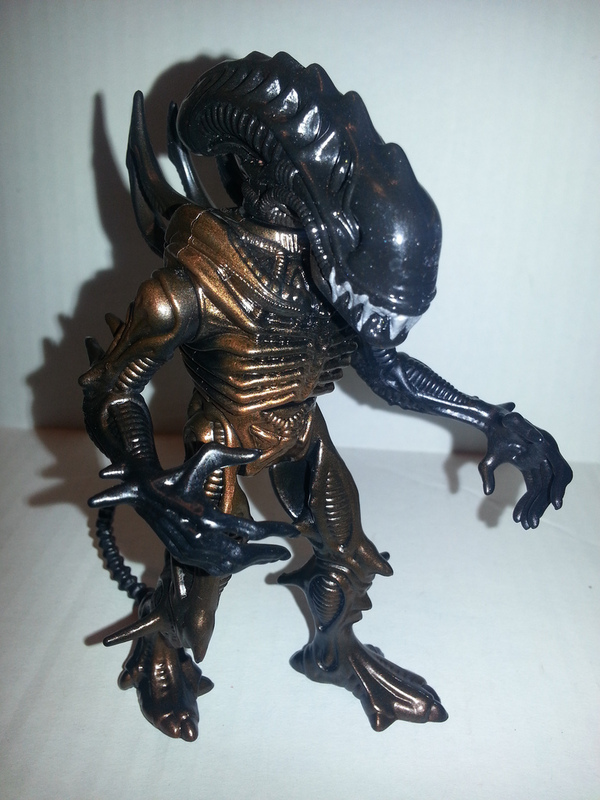 Kenner really ran with the idea presented in Alien 3 that aliens take on the characteristics of their hosts, as most aliens were animal themed. The Gorilla Alien is metallic blue and black and came with a blue facehugger and a comic book. He has two spikes on his back that when squeezed together allow him to grab another figure. His head is rubbery and squirts water, which is supposed to represent acid. I guess real acid wouldn't work, as it'd probably eat through the plastic head pretty quickly. As a kid, these were my default aliens. Probably my favorite of the first series of aliens, the Bull Alien comes in a really nice mixture of metallic red colors, stands on all fours, and has a spring loaded neck that rams forward. His horns actually look dangerous! Once you have his neck fully extended you can move a lever that that makes it look like he's shaking his head "Yes." Do you like killing humans, Bull Alien? *Bull Alien shakes head 'yes'* He also comes with a facehugger (red) and a comic book. 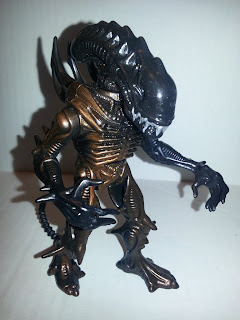 While he has some copper highlights, the Scorpion Alien bears a pretty decent resemblance to the standard Xenomorph seen in Alien and Aliens. He comes with a brown facehugger, a comic book, and the ability to explode. When you push a button on his lower back he explodes into four pieces. It's really similar to the feature used on the Exploding T-1000 figure on the Terminator 2: Judgment Day line. While it's intended to represent that the xenomorph got blown up by a space marine, I also like to pretend he's a drummer for Spinal Tap. 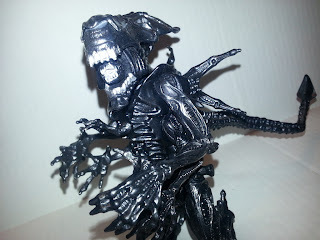 I'm pretty sure I never owned the Alien Queen figure as a kid (probably since Freddy already had her and we didn't need two of her for our battles). She was a deluxe figure and measures in around 6 inches tall. She has six articulated arms (four on the sides of the body and two on the chest) as well as an extending interior mouth and a whipping tail (push the button on her left hip and she whips your other figures). 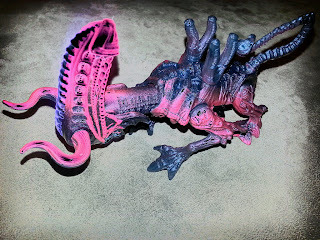 Oh, and while she doesn't come with a comic book, she does come with a black alien fetus (probably a chest burster before it has fully grown). With accessories like that you have to wonder how many parents sent Kenner a bill for their kids' counseling sessions. Example: What an Aliens figure looks like to a 9 year old. Next week, I'll have more memories to share and more figures to look at. The Space Marines are pretty interesting and should be loads of fun to talk about, especially because they're so ridiculously awesome. Spoiler: There's a dude who dresses up like an alien and Bishop has wraparound sunglasses. Boss. Here are the accessories I mentioned above. Each package gave you two creatures for the price of one! Barbecue17 was never really scared of Aliens. Cryptids, however... Those guys freak him out. Check out his pictures of Aliens, Cryptids, and other action figures on his Flickr account. I LOVED this toy line. I still get a chuckle out of how such dangerous gory rater 'R' creatures got such a full extensive kiddie treatment line. Viva' the early 90's!! 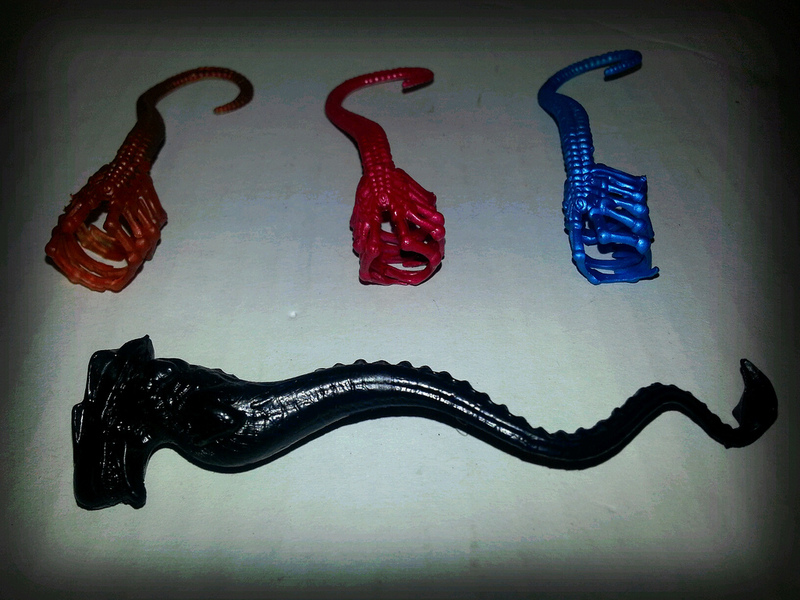 My favorites are the Scorpion alien, Alien Queen (my first! I was awestruck, and spent a little too much time staring at the chestburster accessory), and the beautiful blue Hive Warrior Alien.